Finally, a way to get a variety of sustainable, eco-friendly brands at your fingertips! This site was introduced to me by my good friend northofbloom.com. I had received some products from the site that I really liked but, I had never placed my own order until this weekend. 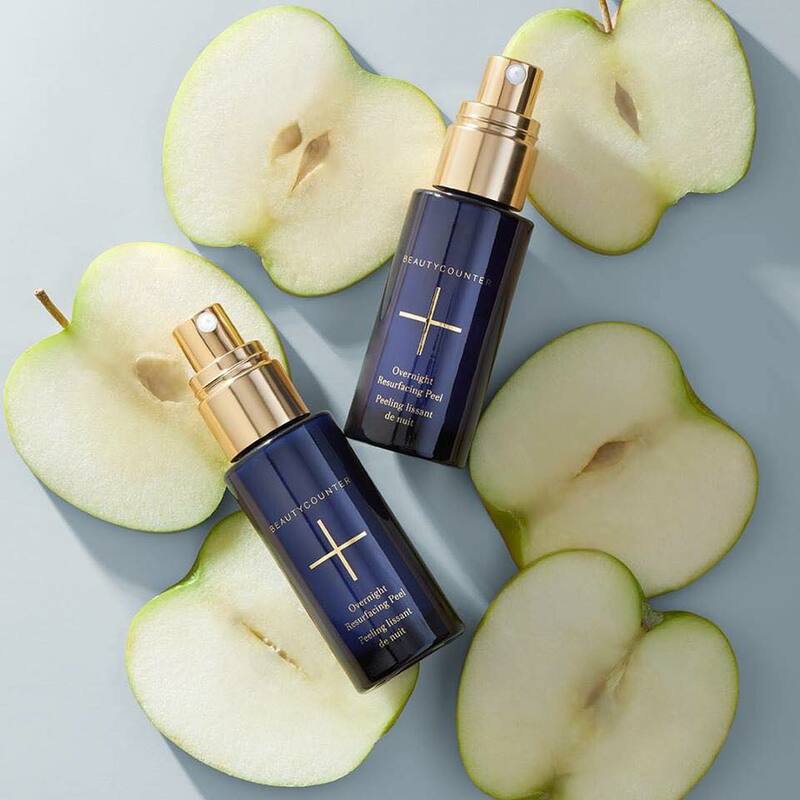 They have a great selection of non-toxic, eco-friendly makeup and skincare items from a variety of brands – and you don’t have to order from a bunch of individual sites to get what you want. Also, at each checkout they give you the option to make a donation to a charity of your choosing. The great news too, they are also a Canadian company! 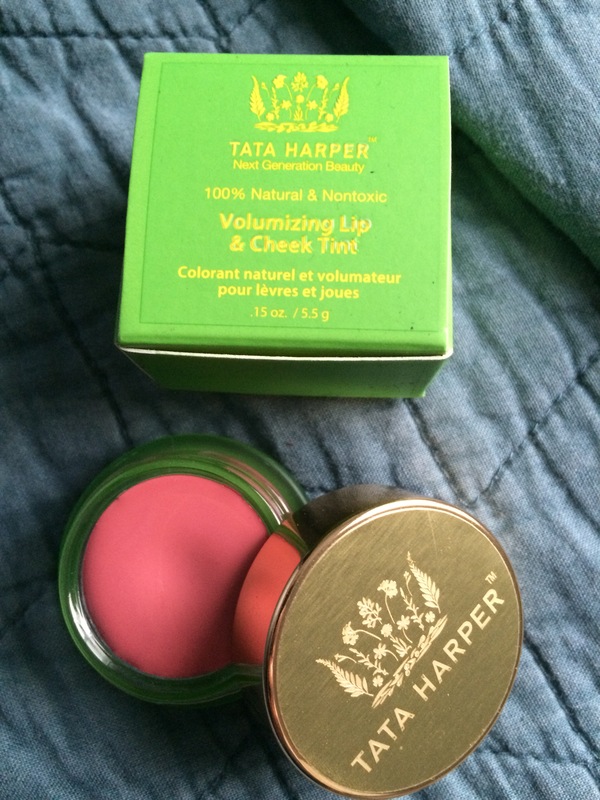 The Tata Harper Volumizing Lip & Cheek Tint is non toxic and free of synthetics, toxins, artificial colours and perfumes. It comes in three colours, but I chose the colour Very Charming. The product uses Spanish Lavender and Lipoamino Acid Technology to help give lips and cheeks a more plump appearance and I just love all of the colours! I like that it is multi-purpose! I will be buying another one soon…I can feel it. *Update: I’ve been using this product for a few weeks now. 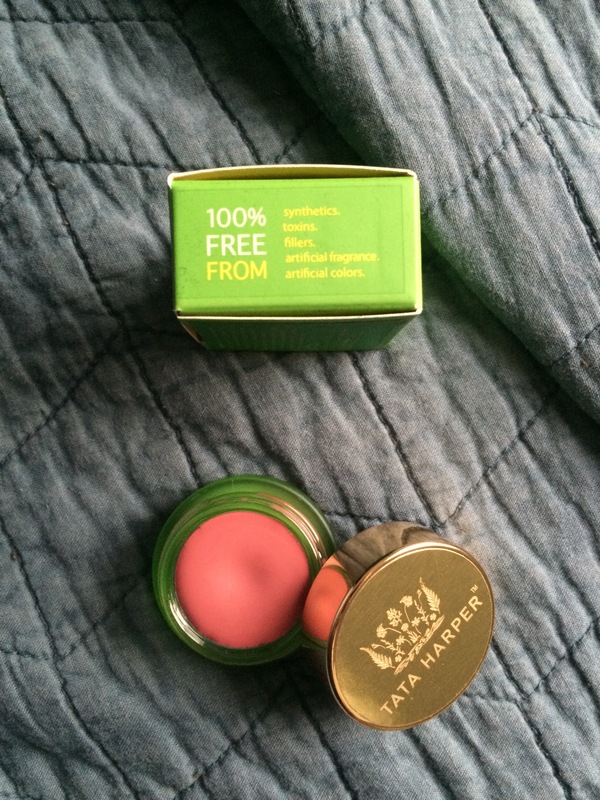 I like the smooth texture and the colour and that it can be used on both cheeks and lips. It is fairly easy to blend but I am not sure what is voluminous about it. 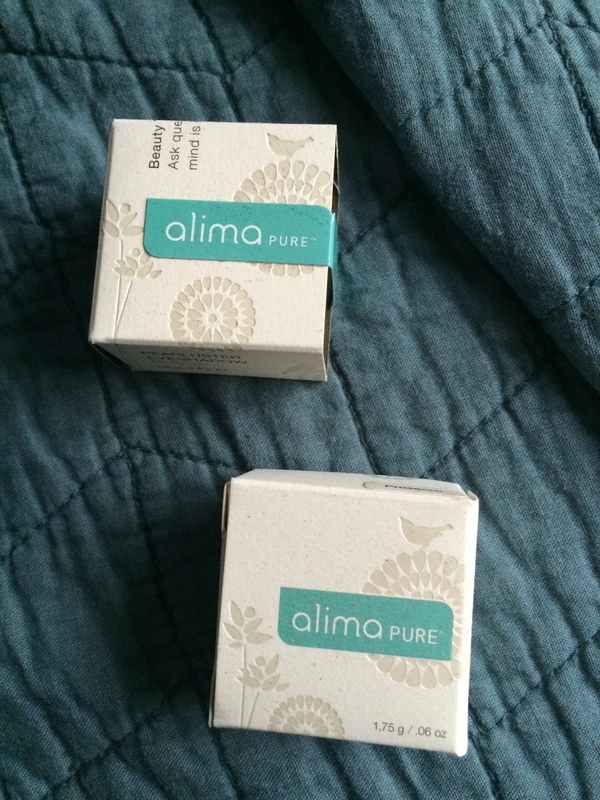 I have been dying to try Alima Pure makeup for some time now. It always comes up when researching non-toxic makeup. I chose two neutral pearluster shimmers. You can read more about their commitment here. *Update: I absolutely love this eye shadow!! I thought I would like it but it way better than I ever thought! It has great pigmentation and I find that the eyes shadow lasts on your lid. So, admittedly, I am terrible at doing my own nails. That being said, I do love a fresh manicure and I am very lucky to have a great friend who will do my nails at the drop of a hat. 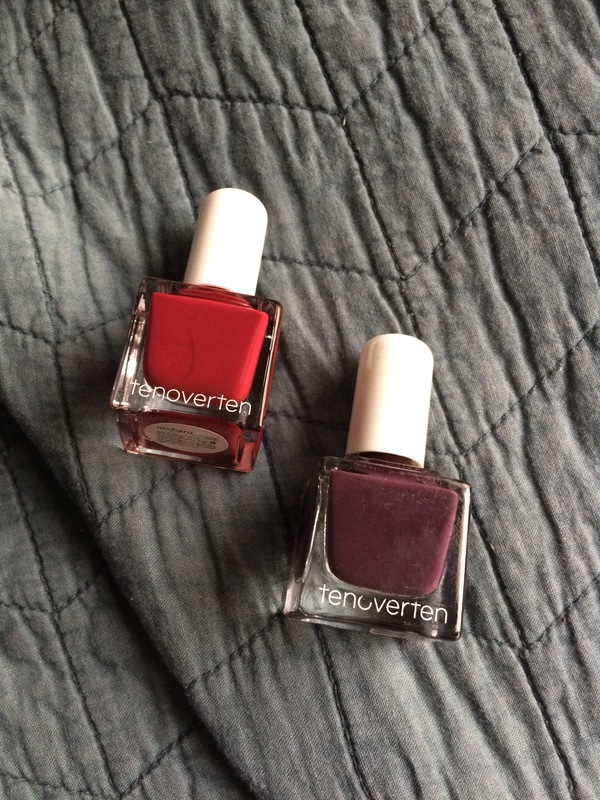 I am excited for her to try this TenOverTen 5 free nail polish. It is free of dibutyl phthalate, toluene, formaldehyde, formaldehyde resin, camphor. Tested on one nail and coverage is amazing and it goes on really smooth. *I am also very pleased with these nail polish colours. I find if you use the whole system from base coat to top coat, they really last. 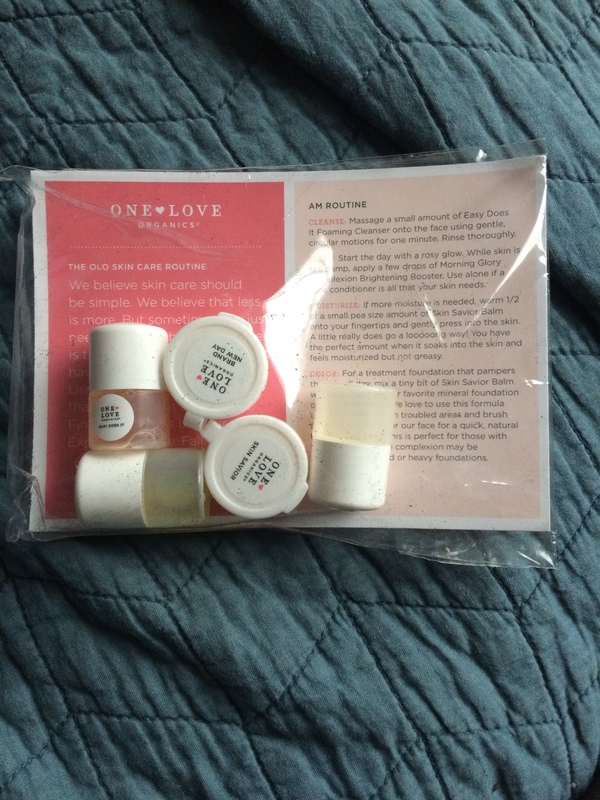 I also ordered a sample of the One Love Organic’s skincare routine. I love the konjac sponge from them so much, I thought I would try the sample pack to see if I like the cleansing line. *I tried these products out for a few days. I did notice a difference in my skin and would look to order more. Using the whole system I noticed my skin was cleaner and had a lot more moisture while pores appeared reduced. Now to get more! 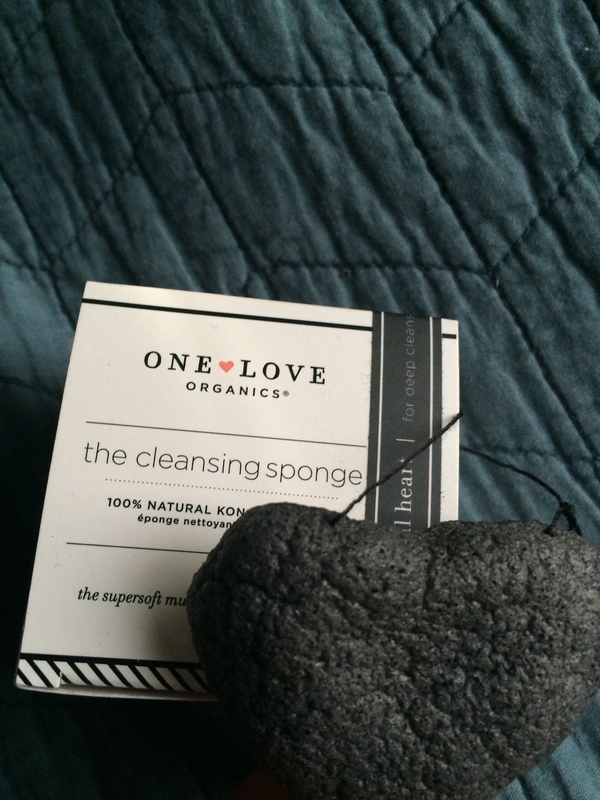 I had to replace my cleansing sponge so I thought I would try the bamboo charcoal cleansing sponge as it is for more oily-combination skin. I really love the gentle exfoliation of these sponges. They leave your skin so soft! *No update – still love it. In addition to all of these great products that I ordered, EcoDiva sent me samples of a perfume, liquid and powder foundation!